See things in a different light. STARLINK™ Safety & Security Connected Services deliver instant access to help when you need it most 24/7, 365 days a year3. There's also STARLINK™ in-vehicle technology giving you access to music, maps, news and text messages through the touchscreen or voice commands without ever touching your phone. Settling into this space is anything but settling. Engineered to go all out. Power to please. Confidence you can feel. The 2017 Legacy is carefully engineered to protect what’s inside with advanced accident avoidance and exceptional passenger protection. 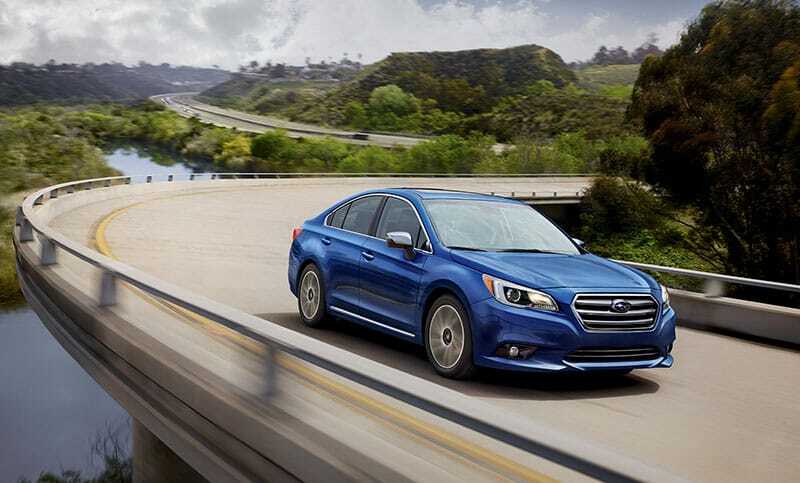 The low-maintenance Lineartronic® CVT smoothly gets the most from your Legacy. Rather than shifting through each gear, it continuously adjusts to the engine’s demands to ensure the highest MPG possible.